Your Residential And Commercial Roofing Experts for Over 70 Years! Hays Roofing has been providing Arizona with all their roofing needs since 1940 and is still recognized as a state-of-the-art roofing contractor that uses the finest roofing materials and skilled roofing professionals to provide you with the best roof for your home or business. 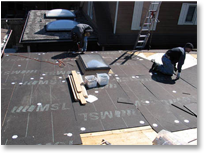 As a roofing specialist with millions of feet of roofing currently under warranties. Hays Roofing will provide you with years of satisfaction and peace of mind. Click here to see a complete list of our Roofing Services, plus helpful information on shingles and urethane foam roofing! Call Hays Roofing at 602-254-5663 to receive a free estimate on your next roofing service. Whether a new roof or re-roof, repair or maintenance, Hays Roofing can handle projects of varying sizes and scopes with ease. Our industry experience gives us the ability to offer superior quality roofing at a price within your budget. Don't hesitate to contact us for your next roofing project!